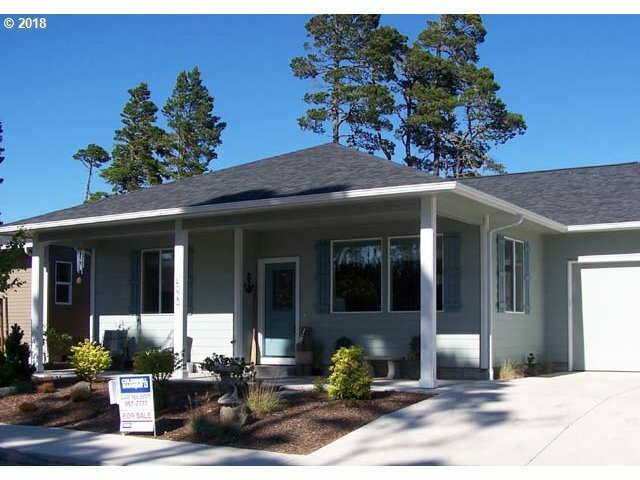 Move-in ready, "Siletz Model" in the new gated community of Sandpines East, bordering Florence Golf Links. Morning sun floods the eat-in kitchen w/quartz countertops in this beautiful & gently lived in home. BBQ on the wind protected covered patio in a fenced backyard. Custom roman shades throughout, lovely room divider w/art niches. Roll-in shower. Enjoy sunsets from covered front porch. Upgraded landscaping complete w/birch trees.